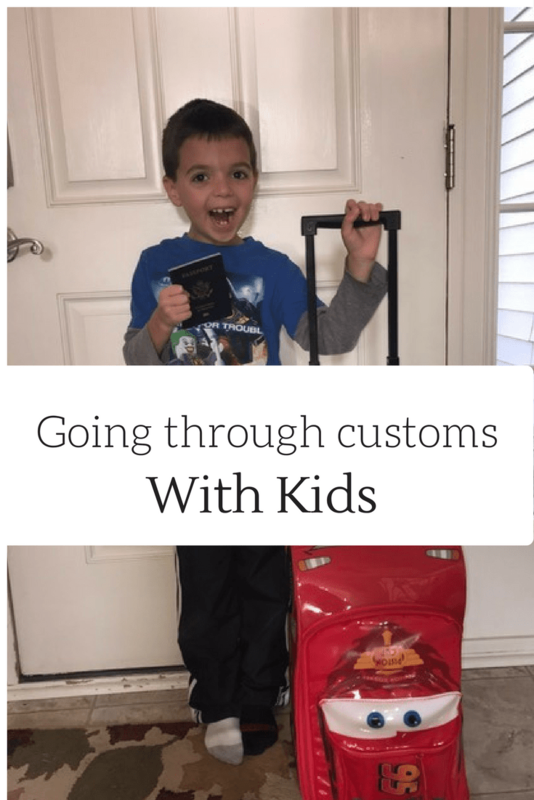 International travel with kids is exciting, it is so fun to see your kid explore a new country, but there is a lot of planning that goes into international travel and getting to another country with kids is a lot of work. Not only when traveling internationally do you have to sometimes factor in time changes, long flights and a change of scenery, you also have to go through customs. When traveling to another country you will have to go through immigration and customs before entering the country. This also applies when you are returning to your home country. The process can be time consuming and a little overwhelming for kids, especially if traveling during a busy day or time of year. Fill Out your paper work on the plane, the flight attendant will give you the necessary paperwork have it ready once you get off the plane. When traveling back into your country or continuing to another country make sure you have the correct documents filled out. These are often handed out on your plane ride. Have your passports opened to your page with the picture on it. This will save the person at customs from having to open it. It is also helpful if you are using the new computers that you have to scan your passports into. Be prepared to have to go through security twice. Quick fun story, on our first trip to Aruba we went through security and got food at the airport, forgetting that we had to get to the US terminal and go through US customs before we could board the plane. I kept telling John we had to do security again, but he insisted on ordering pasta and beer. I ate my food fast and he leisurely ate his until they announced that those on our flight who were not through US customs in 5 minutes would be staying in Aruba. John didn’t know whether to eat his pasta or drink his beer, I still laugh about it. When traveling with kids, let them know that you may have to go through security twice before you can board the plane. Remind them that this is a time to be patient because it’s part of how we get in and out of other countries. Play a game like I Spy that doesn’t require anything other than their imagination. Also remind them to pay attention and be polite to the customs officers. If the foreign airport has US customs in it, you will do security twice which means you will have to pick up your checked luggage, take it with you when you get inline to have your passport scanned and answer the questionnaire. You will then have to take it through US security. You may again have to take off your shoes and remove any liquids from your bag. On peak travel days waits can be long, have kids use the bathroom and have something to drink before you go through. Also factor extra time into your arrival at the airport for getting through customs especially if you want to eat or shop before your flight. The customs officer will ask a series of questions before letting you into the county. Sometimes this can be confusing for younger kids, while older kids might not take it seriously. Remind them that this determines if you can enter the country and that they should behave appropriately. If waits were long, reward kids with something fun once it’s over, even if it’s something as simple as a piece of candy or some screen time. Remind kids that once you have entered the country vacation can start. This is one of the longest and possibly most frustrating parts of vacation but it’s necessary and one it’s done you can enjoy your vacation. Coming home from Aruba customs it took us an hour and half to get through airport security and customs, it was long and a lot of work with 2 kids but the vacation was well worth it.